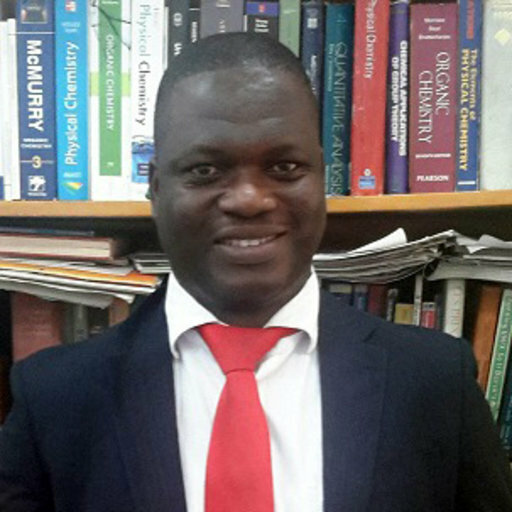 Opinion: introduction of new public holidays is an attempt to rewrite history-Dr. Richard Tia, KNUST. Uh huh, now that I am back to base, can someone kindly bring me up to speed with what I have been hearing about a new bill being laid before parliament to alter public holidays in Ghana. 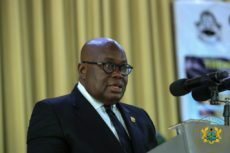 I hear the president wants to make August 4 and January 7 statutory public holidays to be called Founders’ Day and Constitution Day respectively, and September 21, the birthday of Kwame Nkrumah which has been celebrated as Founder’s Day for the past few years, will remain a holiday with the new name Kwame Nkrumah Memorial Day! For the record, I was one those who vehemently opposed late President Atta-Mills’ decision to make Nkrumah’s birthday a public holiday called Founder’s Day (note the position of the apostrophe). I was against this move for three reasons. Firstly, I felt there were (and still are) too many public holidays in Ghana, and adding another holiday, even if it celebrated a towering figure like Nkrumah, was a drain on productivity that the nation could not afford. I also believed that such a holiday would resurrect the needless Nkrumah-Danquah rivalry which will sap our energies and distract us from doing what Nkrumah, and I believe Danquah as well, would have wanted us to do: develop our nation and demonstrate to the world that the black man is capable of managing his own affairs. Finally, I believed that Nkrumah had been duly recognized across Ghana and Africa for his role in the liberation struggle and for nurturing the idea of the Africa personality. Nkrumah has been voted the African Personality of the Millennium in 1999 when none of the people he is being compared with in Ghana got even an honourable mention; on the grounds of the AU Headquarters in Addis Ababa stands a towering statue of Nkrumah; in the Malian capital of Bamako stands a statue of a kente-adorned Nkrumah; in the University of Dar es Salaam is the Kwame Nkrumah Hall; in Kabwe Zambia is the Kwame Nkrumah University; and in the Namibian capital of Windhoek, Nkrumah shares a pride of place with Sam Nujoma and Nelson Mandela in the centre of the city. Nkrumah’s place as the pre-eminent pan-Africanist is enshrined in the hearts and minds of the African people. He did not need a holiday to make sure his place in history. Some people in Ghana might need it, but not Nkrumah! Thus, the believed the holiday was needless. The president’s decision to shift Founders’ Day to August 4 is to celebrate the founding of the UGCC on that day in 1947, and by extension, recognize those who were in Saltpond that day as the founders’ of the nation. There is no doubt that the founding of the UGCC on August 4, 1947 was an important milestone in the history of this country, but available records from that era show that the UGCC was not what it was later made out to be by historians. With a rather lethargic start, primarily to protest certain aspects of the Burns Constitution of 1946, it assumed a bourgeoisie outlook with no proper means of mass mobilisation, a necessary ingredient of independence movements. On assuming work as general secretary, Nkrumah tried giving it a broad mass outlook and revolutionary fervour but this was vehemently opposed by the leaders. And so they parted ways within two years. Fast forward to 1951 and the first legislative elections in the Gold Coast are being orgnaized by the British. The main parties are the UGCC led by the intelligentsia and backed by the wealthy merchants, and the CPP made up of verandah boys and market women, whose leader, Kwame Nkrumah, is in jail and cannot campaign. To the chagrin of the British, however, the CPP wins 34 out of the 38 seats, garnering 91.3% of the vote in the urban areas and 71.9% of the vote in the rural areas. The UGCC wins only two seats, and is immediately disbanded, to be replaced by a number of regional- or ethnic-based opposition parties. This was in 1951, SIX clear years before independence, and the UGCC is DEAD AND BURIED, unable to achieve its objective! J.B. Danquah lost his seat, William Ofori-Atta lost his seat and K. A. Busia won his seat by 11 votes and the UGCC is no where to be found. From a critical look at the historical record, it is clear that apart from Nkrumah and the CPP, the other real event that marked our drive for self-control and self-actualization was the formation of the Gold Coast Aborigines Rights Protection Society on 17 May 1897 under the leadership of J.W. de Graft-Johnson J. W. Sey, J. P. Brown, J. E. Casely Hayford, and John Mensah Sarbah, which not only saved us from the obnoxious Crown Lands Bill of 1896 and the Lands Bill of 1897 thereby preserving our traditional land tenure system, but also laid the foundation for political action in the Gold Coast. Thus, celebrating founders’ day on 4 August is wrong. The reason for abandoning July 1 in favour of January 7 is also curious but ultimately wrong. I have heard it argued in certain quarters, especially by Speaker of Parliament Professor Mike Ocquaye that July 1 was a celebration of the ‘first republic’ and ‘since the first republic was overthrown and we are now in the fourth republic’, we should be celebrating the date of the coming into effect of the fourth republic as the new republic day. First of all, the practice of dividing the political history of Ghana into First Republic, Second Republic etc is wrong! Ghana did not cease to be a republic after the 1966 coup d’état; it did not cease to be a republic after the 1981 coup d’etat. It has been a republic continuously since 1 July 1960. Ghana was a republic during the NLC military government from 24 February 1966 to 1 October 1969; Ghana was a republic during the NRC/SMCI/SMCII/AFRC military governments from 13 January 1972 to 24 September 1979; and Ghana was a republic during the PNDC military government from 31 December 1981 to 7 January 1992. Ghana has been a republic continuously since 1 July 1960 and records throughout the period bear that fact. What changed with the coup d’états was the overthrow of the constitutions, referred to as republican constitutions. So the first republican constitution was overthrown in 1966 but the republic was not overthrown! You would expect a professor of political science to know this difference! Between independence in 1957 and our attainment of republican status on 1 July 1960, the Queen of England was our head of state and the Prime Minister was only head of government. After every elections, the leader of the party with parliamentary majority is invited by the Queen of England to form a government and the government is referred to as Her Majesty’s government. On 1 July 1960, we became a republic and all that stopped. To say that 1 July belonged to the ‘first republic’ and went with the 1966 coup d’état is plain wrong. Thus, these two new statutory public holidays are an attempt to revise Ghana’s history, and parliament should not pass the bill. But I know parliament will pass it, and so I have decided that on August 4, when the government is marking 4 August 1947 when the UGCC was formed, I will reverse the year and mark 4 August 1974 when Ghana switched from the colonial practice of driving on the left lane to driving on the right. For future reference, this may be cited as: Tia, R. D. (2018) The Last Political Rant of the Year AD 2018. Facebook. Vol. 2 (153), 1-2.